Board members featured from left to right: Steve Sprinkel, Molly Nakahara, James Nakahara, Jean Cooper, Kathy Webster, Dru Rivers, Hansel Kern, Javier Zamora. Steve has been a commercial organic farmer since the 1970s. He has farmed in California, his home state, and in Hawaii and Texas. His service in the organic movement began in 1984 in the CCOF South Coast Chapter and later on the Statewide Certification Committee. Later he served on the organic advisory board for the Texas Department of Agriculture, and for eight years was an associate editor at ACRES, USA, originator of the monthly column TRANSITIONS. He served previously as board member and later as president of the Cornucopia Institute until 2014. 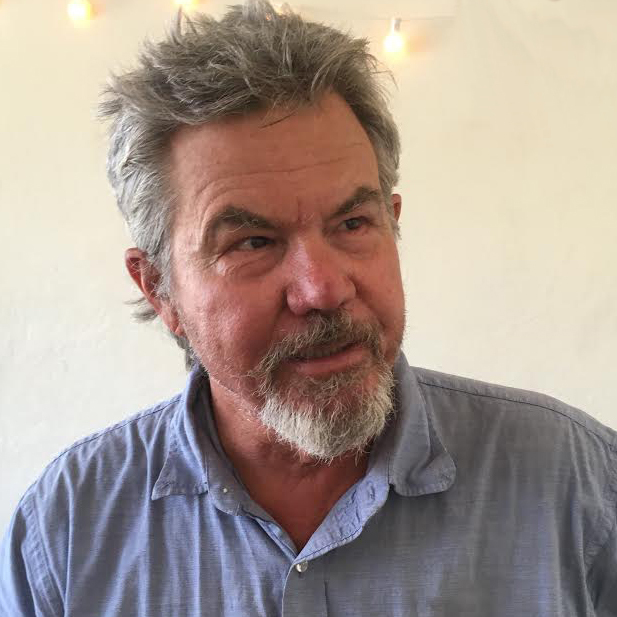 For fourteen years he and his wife, Oliva Chase, have operated The Farmer and The Cook, a 46-employee grocery, bakery and restaurant in Ojai, California, where their 12 acre certified organic farm is located. Dru has been a farmer for the past thirty years at Full Belly Farm where she grows over one hundred different crops with her husband, two farm partners, and a crew of over 60 amazing workers. Dru's passions at the farm are the flowers and the animals, both of which are in high demand by customers from throughout Northern California. Dru is the mother of four incredible children all of whom currently work at the farm. She could not be happier with her life work and enjoys every minute of each day. Lisa’s environmental research and advocacy spans several decades and continents. At Organic Advocacy, she initiates projects that protect, improve, and promote organic food and agriculture. As Senior Organic Policy Director at Center for Food Safety, her work focused on curbing the spread of harmful food production technologies by challenging compromises to organic integrity and advocating organic solutions. While living in Europe, Lisa served as NGO delegate to the UN’s London Dumping Convention, partnering with governments and NGOs to successfully halt the incineration of toxic waste at sea, worldwide. 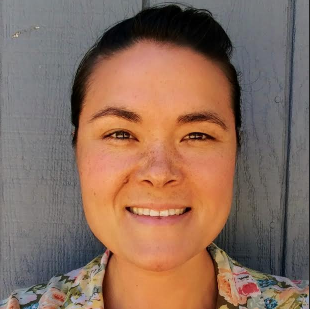 Appointed to Santa Cruz County’s Genetic Engineering Taskforce, she co-edited a study that convinced Supervisors to enact a moratorium on GE crop plantings. Lisa has taught college courses on national and international environmental policy, social movements, and social change. For her Ph.D. in Environmental Sociology, she conducted a comparative field study of organic cotton production systems in India and California and their interconnections with emerging markets. 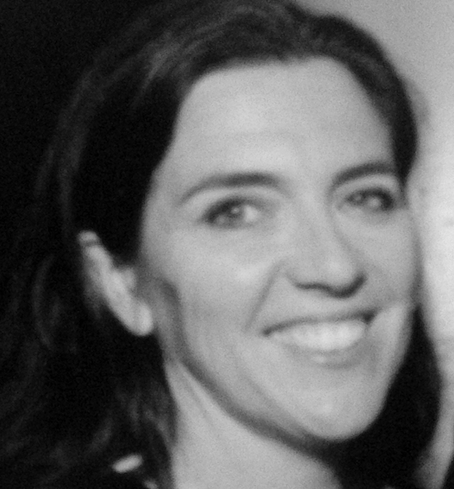 Lisa serves on EcoFarm's Planning and Diversity Committees, as an Advisor to the National Organic Coalition, and regularly blogs on organic-related issues. Sue Kern helps operate the Kern Family Farm in North Fork, CA along with her husband, Hansel and adult children, Rebecca and Aaron. She helps daughter Rebecca run the family’s natural food market, the Gnarly Carrot. She’s also the Family Law Information Center Attorney at Fresno Superior Court’s Self-Help Center. Before moving to North Fork, she spent thirteen years organizing farm workers and home care workers in New York and California, and is on the board of directors of Centro La Familia Advocacy in Fresno, Madera Coalition for Community Justice in Madera, and KFCF radio in Central California. 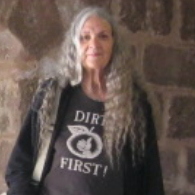 Jean is an independent non-profit strategic management consultant and advocate for food justice and sustainable food systems. For the past thirty years, Jean has worked towards improving access to food, particularly in bringing awareness to how our most vulnerable populations; seniors, children and adults with disabilities, lack access to affordable, healthy food. Jean worked with the Glide Foundation as the Director of Programs responsible for the organization’s core programs serving the homeless including Glide’s Daily Free Meals Program. During her tenure at Glide, Jean became the Steering Committee Chair for the Tenderloin Hunger Task Force and an Appointed Voting Member of the San Francisco Food Security Task Force, which together influenced the City to pass a Resolution to End Hunger in San Francisco by 2020. Before working at Glide, Jean was a chef, caterer and general manager of several restaurant operations within the San Francisco Bay Area. Jean earned her Bachelors of Arts Degree in Government from Mills College and her MBA in Finance and Economics from the Lokey School of Business at Mills College. Hansel Kern operates the Kern Family Farm in North Fork, CA in the Sierra Foothills. The farm provides produce to families in the area through the Kern Family’s local market, the Gnarly Carrot. The farm also supplies produce to several local restaurants and participates in a small local farmer’s market during the summer. In 1999, Hansel started a school garden at the local elementary school where he shares his enthusiasm for growing food with the children. He provides healthy fruits and vegetables for the kids to eat while they work in the garden, and the school cafeteria includes produce from the garden in the school lunches. Hansel represents EcoFarm at several local Central Valley farm festivals, including the Organic Stone Fruit Jubilee Festival in Clovis, CA. 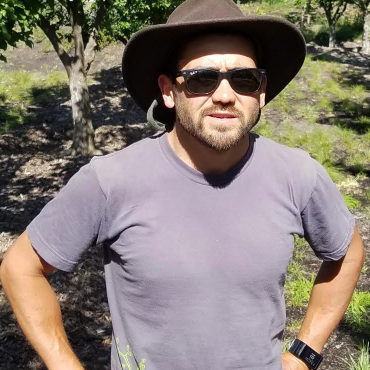 James Nakahara works for Orchard Keepers, an Orchard and Edible Garden Care company out of Santa Cruz. When he is not working or serving on the Board of Directors, Planning Committee and Diversity Advisory Group, James enjoys surfing, paddling with Outrigger Santa Cruz, and playing softball. 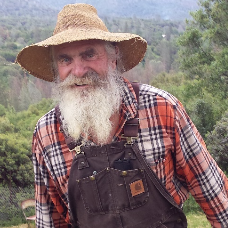 He is passionate about forwarding the sustainable agriculture movement in California and has spent the last 7 years farming, gardening, or advising on sustainable and organic farm and garden management practices. 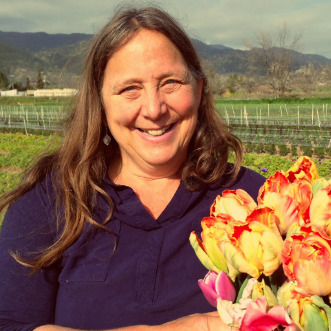 Molly Nakahara grows specialty cut flowers and pasture-based pork at Dinner Bell Farm, a certified Organic, Nevada County farm which she founded in 2010 with her partner, Paul Glowaski. She has worked to support farmers and ranchers with UC Cooperative Extension and in her current work as the Farm Institute Director at Sierra Harvest. She holds a BS in Agriculture Education from UC Berkeley and completed the UC Santa Cruz Farm and Garden Apprenticeship in 2006. 9 generations ago, Molly’s ancestors, the Peraltas, brought cattle ranching to the East Bay Area. Her paternal grandparents farmed lettuce and green onions in the Salinas Valley but lost their farm when they were imprisoned in the internment camps of WWII. She spent her childhood in their urban, backyard farm where she learned a love of soil and the joy of growing food and flowers. You can see Molly farm through her Instagram profile @dinnerbellmolly. 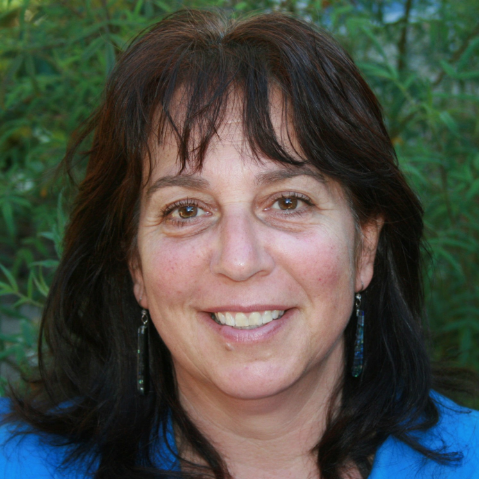 Kathy Webster is the Food Advocacy Director for TomKat Ranch Educational Foundation/LeftCoast GrassFed. 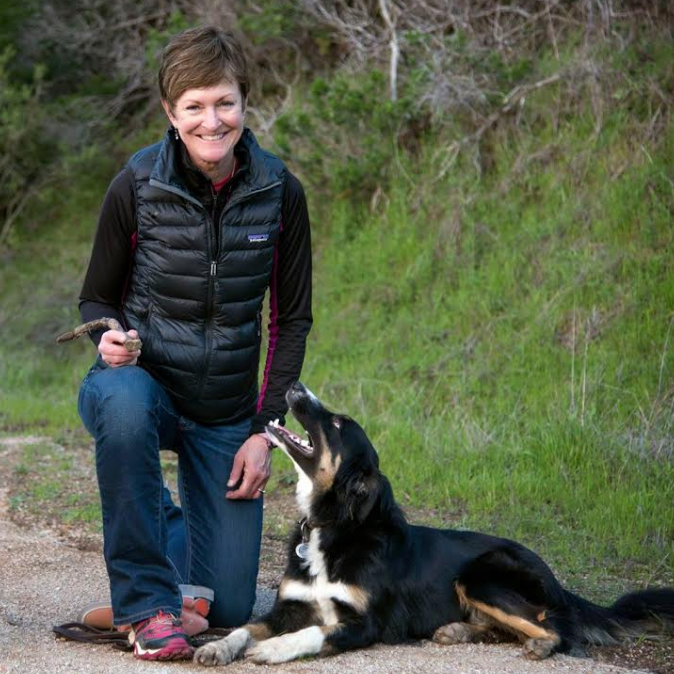 In 2008, Kathy helped develop and launch the LeftCoast GrassFed business for TomKat Ranch and today manages the overall operations (certifications, processing, and marketing) while helping run its fork to farm educational programs. In addition to serving on the EcoFarm Board, Kathy serves on the board of American Grassfed Association. She is also an active collaborator on beef processing bottlenecks working with government officials, Niche Meat Processing Assistance Network, and the Central Coast Livestock group and is an advocate for the Regenerative Ranching community, helping to build demand for grass-fed meats in various markets in California, including schools and hospitals. A native Californian, Kathy holds a B.S. in dietetics/nutrition from CSU Chico and lives in Pescadero, California with her husband (who also works at the ranch), two dogs, cats, horses, chickens and ducks. Javier Zamora was born in Michoacan, Mexico. From age 7, Javier helped tend the family’s vegetable plot and worked in his school’s 5 acre garden. 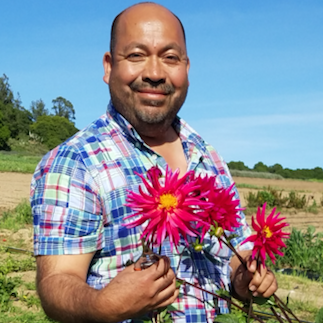 Javier came to the States at age 20 where he earned his landscaping degree from San Joaquin Delta College and his organic production degree from Cabrillo College, and trained at the Agriculture & Land-Based Training Association (ALBA) in Salinas. He is now the proud owner and operator of JSM Organics, cultivating 29 acres of strawberries and unique varieties of vegetables and flowers in Royal Oaks and Aromas, CA.